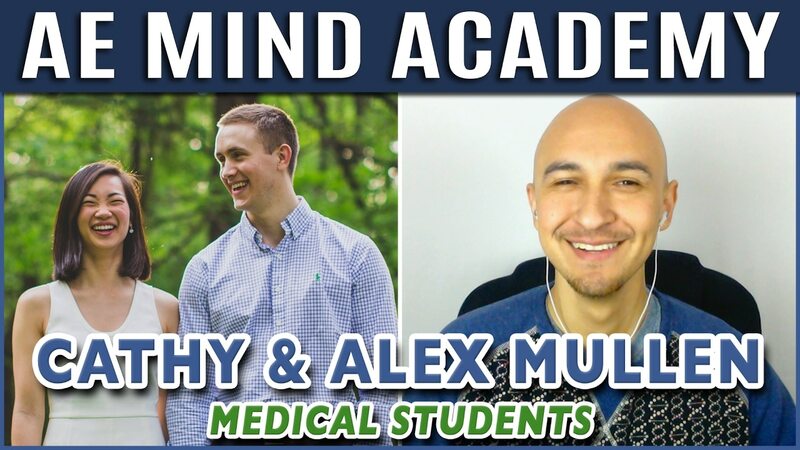 In today’s AE Mind Academy episode, Luis Angel talks with a 2x World Memory Champion and Medical Students, Alex Mullen and Cathy Mullen! We talked about how they take the memory techniques and apply them to learning their material in Medical School. They met in pre-school in Mississippi. How they’ve worked together in other projects prior to Mullen Memory, such as the science fair. Cathy went to Princeton and Alex went to John Hopkins. They are now medical students in the University of Mississippi. They weren’t as successful with applying the memory techniques to their studies in the beginning. They both made refinements in order to help them apply the memorization skills to learning their class material while at med school. Take notes on how they’re memorizing the information in university. Now they think through the concepts first before applying a memory technique. The memory palace helps them with their critical thinking. Even when using memory techniques, you still need to review the information while studying. They stored and encoded the foregut references on the ceiling. Celiac Nerve = ceiling. Vagus Nerve = Vegas Sign on ceiling. Foregut = the number 4 or a forearm. We talked about creating memory palaces and how to use locations in order to memorize the school material to make studying easier. We discussed whether or not they reuse locations and memory palaces to learn new information along the same path that they’ve created associations for already using that path. In continuation with the Digestive tract. Midgut: Superior Mesenteric Artery = Lionel Messi Celebrating. HindGut: Inferior Mesenteric Artery = Messi injured. Do they ever reuse images for other things that might have similar sounding words associated with the terms. Pharmacology Examples > Penicillin: Amoxicillin = Ammo Shells. This study tip technique requires the student to study for a set period of time without distractions and then take a break for about 5 minutes in which Alex recommends that you reward yourself during that time. He likes to read a book or watch videos during his breaks. After a few homework study times and breaks sets, you want to then take an extended break for about 15 minutes before starting the cycle over again. Another tip for success in Med School is to create and keep a consistent daily schedule.